From today, 17 Dec until Christmas Day, I will add one item to the FLASH SALE section of the Mengsel Shop. That specific item will be available for 50% of the original price for that day only. Christmas Cheer all around! 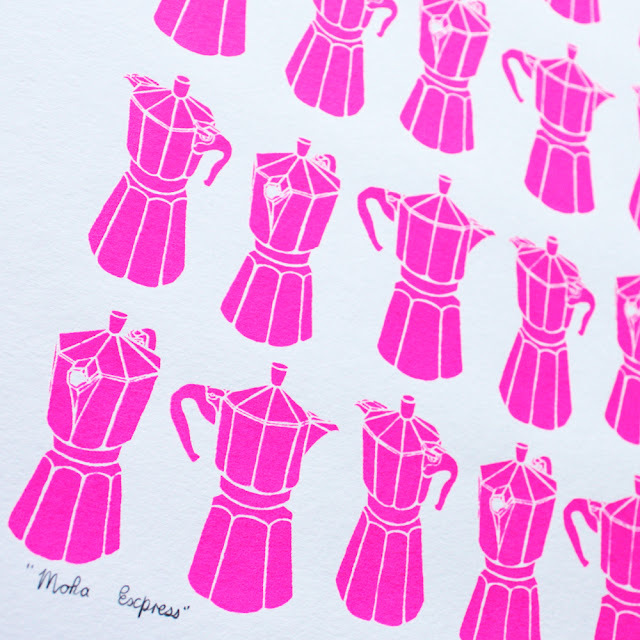 The first item available at less than 50% is the A2 sized Moka Express silkscreen print in neon pink. Printed by hand in my studio! 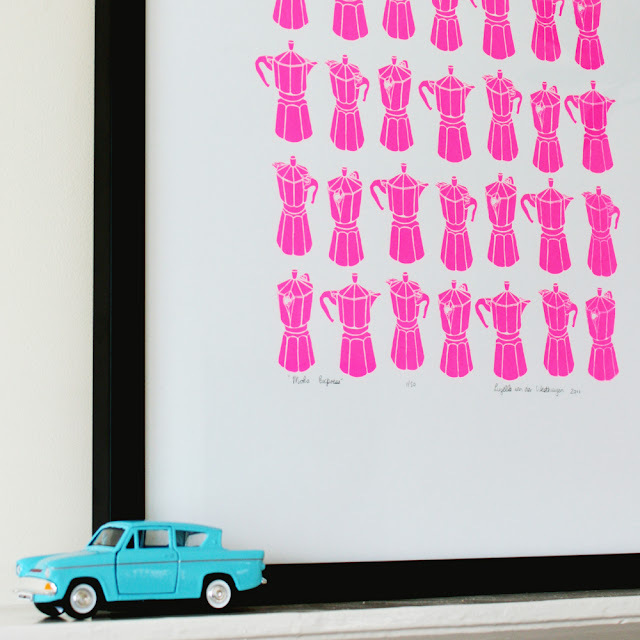 Usually £65, but until tomorrow morning at 12pm, only £32! Wow! You can buy it HERE in the Mengsel shop. Keep your eyes open for the next couple of days, where a new item will be available for less than half the original price for one day only. But be aware: every day's offer will only be available for that specific day.